The putter that first appeared on the PGA TOUR at the Wells Fargo Championship is ready for retail. Just over a month after it appeared in use by various top players, the TaylorMade Spider Mini will be available for consumers on June 8. The new model takes various features of the popular Spider Tour and offers them in a more compact design with slightly different playing characteristics. While 15% smaller than the Spider Tour, the Spider Mini still brings with it the mass and high moment of inertia (for greater stability) with the same head weight of 355 grams. Most notably the centre of gravity has been pushed 7 mm closer to the face (30 mm vs 37 mm from the leading edge). The allows for easier rotation of the head, making it play more “blade-like” and improving suitability for golfers in need of that factor. Blade users who would like a more stable putter design will appreciate the blend of features. The head remains face-balanced. The Spider Mini models are fitted with a Pure Roll insert like many TaylorMade putters, in an effort to deliver soft feel and consistent roll from contacts across the clubface. A most notable design feature versus the Spider Tour is the removal of the “wings” for a more refined look. 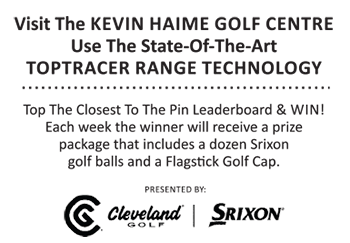 In their place steel weights have been cast into the head with an adjustable sole weight that allows players to adjust the feel and also configure their putter properly for length and varying grip weights. Additional weights can be purchased in 2.5, 5, 7.5, 10, 15 and 20 gram options. The Spider Mini is also marked by the T-sightline developed in the TaylorMade TOUR Truck for players like Dustin Johnson. As mentioned, the Spider Mini becomes available for purchase on June 8th and will be offered in both right and left hand models. Golfers will have a choice of two finishes: Tour Red and Diamond Silver, with all putters fitted with a double bend shaft. The stock grip is a SuperStroke Pistol GTR 1.0 grip with 34″ & 35″ lengths.